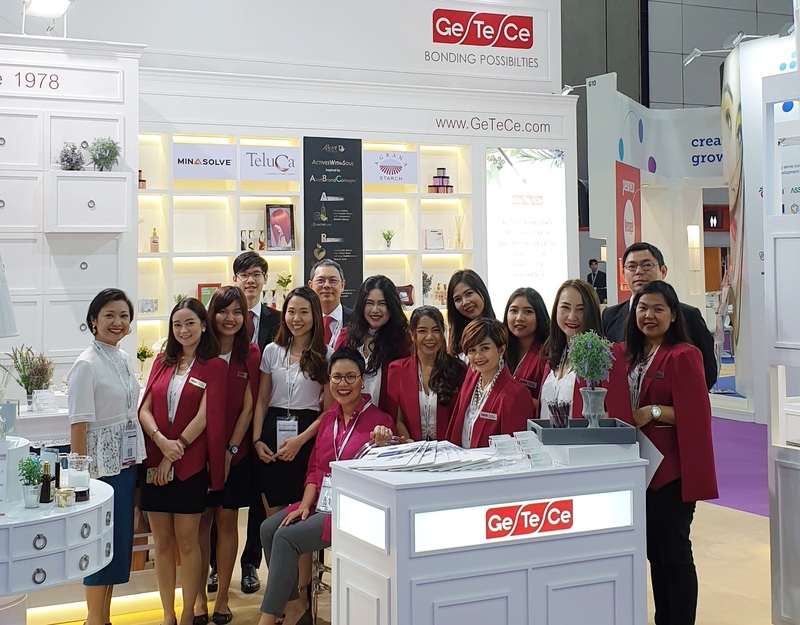 GeTeCe has exhibited its Chemical and Fragrances Divisions in the In Cosmetics Asia 2018 during 30th October – 1st November 2018. 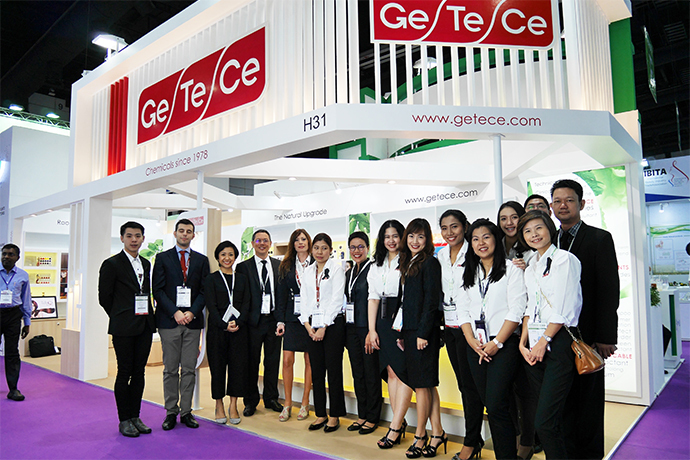 At the booth, GeTeCe Team together with business partners has showcased their new products, prototypes, and services which received great interest from both existing and new customers both domestically and internationally. 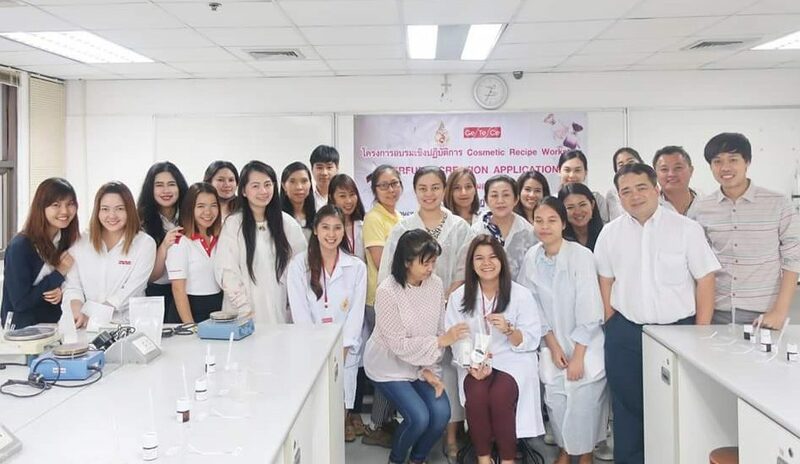 On Friday 6th July 2018, GeTeCe Co., Ltd. has supported Mae Fah Luang University to arrange a workshop: “Cosmetic Recipe Workshop Perfume Creation Application”, for general public and entrepreneurs. The objective was to advise on basic fragrance evaluation, and to select the most suitable fragrance for each cosmetic application. GeTeCe Co., Ltd. has organized ‘GeTeCe BEAUTY DAY 2018’ event with the collaboration of Chemicals Department, Fragrance Department, and Marketing Department. 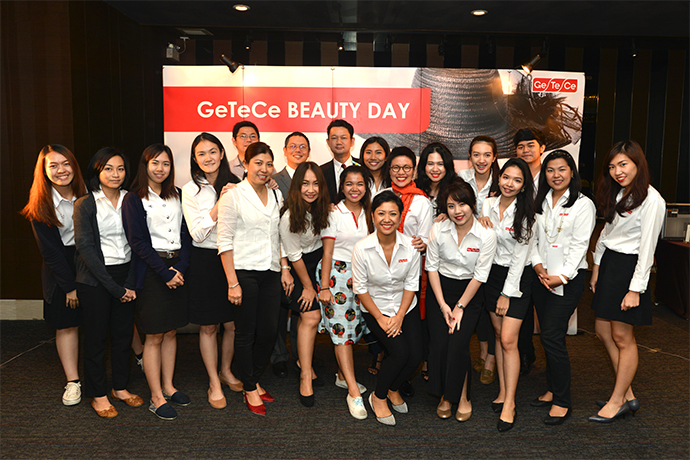 GeTeCe BEAUTY DAY 2018 held at SO Sofitel Bangkok Hotel on 21st June 2018. 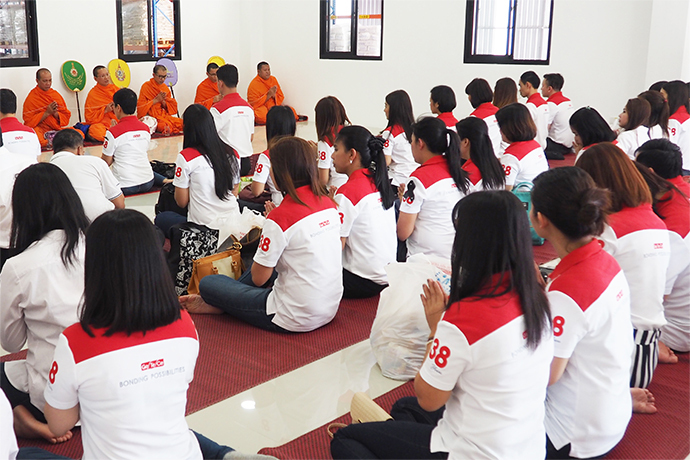 The seminar was for our valued customers. We were honoured by FUIJIAN KUNCAI MATERIA TECHNOLOGY Co., Ltd. and MINASOLVETM to be our guest speaker. Furthermore, we have had supported by our valued partner: AGRANA GmbH. and AKOTT EVOLUTION S.R.L., for the samples and informative presentation to use in our seminar. GeTeCE ramps up its distribution efficiency with its new Warehouse located at TIP8 Industrial Project, Samutprakarn, to support the business expansion in its Chemicals, Fragrances and Flavours & Food Ingredients. The new warehouse is strategically located in the close parameter of main industrial zones to ensure the speed of service with high quality standard under ISO certification. We know Employee’s happiness brings company’s success. 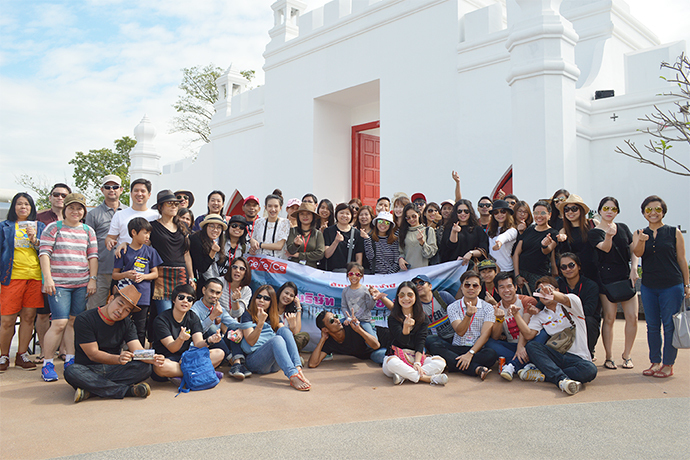 This year we bring the team of 80 to explore the adventurous ground of Kanchanaburi with many team-building activities. We shared happiness and laughter throughout the trip and fully charged for the upcoming years! GeTeCe exhibits its Chemical and Fragrances in Asia’s most important exhibition in the region, In-Cosmetics Asia 2016. At the booth, GeTeCe Sales crew together with R&D Team showcased their new products and prototypes which received great interest from both existing and new customers both domestically and internationally. 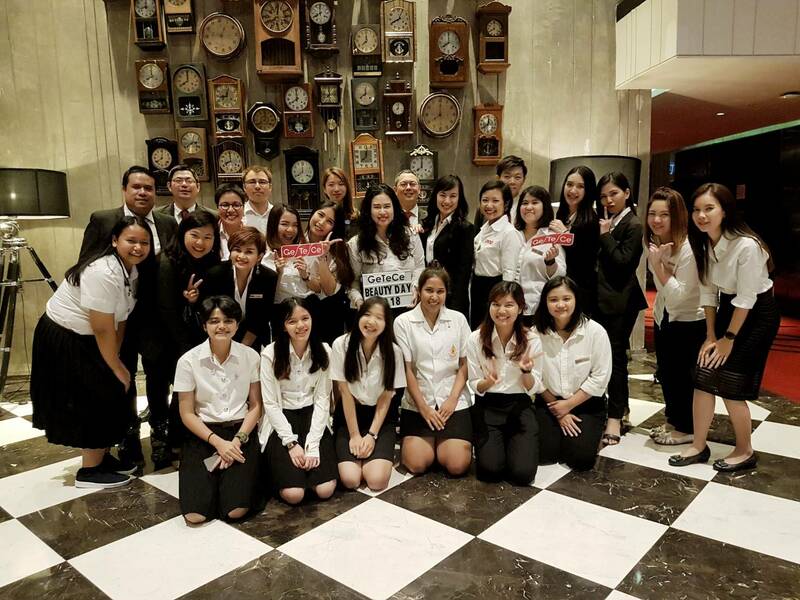 GeTeCe arranged a Seminar & workshop for leading personnel from Personal Care and Hair Care Industry on July 13th at the Aetas Lumpini Hotel, under the theme “GeTeCe Beauty Day”. The event is packed with industry update from renowned university professor and market trend forecast from GeTeCe Marketing Guru, wrapping up with the tips & tricks from Thailand’s famous beauty blogger – Khun Saypan. COPYRIGHT © 2017 GeTeCe Co., Ltd. All right reserved.